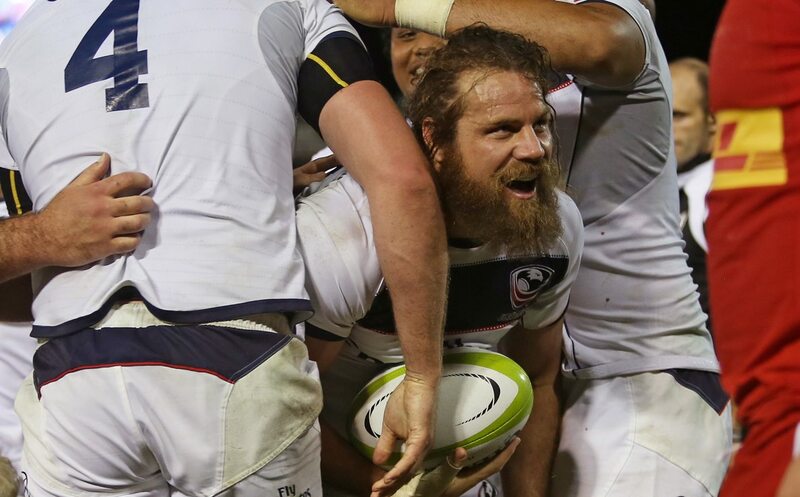 HAMILTON, Ontario - Todd Clever, the United States' most-capped senior test player and an 11-year professional, has announced he will retire from international rugby following the USA Men's Eagles' Rugby World Cup 2019 Qualifier in San Diego July 1. "It has been a great 15 years with the National Team. I have had six Eagle coaches and have captained the team under four of them. "There have been many ups and downs in those 15 years representing the United States of America. I've left everything on the field and did everything for my teammates, which makes this process a bit easier. But leaving on my own terms, on home soil, in front of friends and family; a lot of players aren't able to do that either because of injury, selection or whatever the case may be." Clever is the most decorated American player abroad, signing professional contracts in England, Japan, New Zealand, and South Africa - and enjoying a selection to the famed touring side Barbarians F.C. - during his career. He played in seven matches at the 2007 and 2011 Rugby World Cups - all starts - and has been a starting XV selection in 71 of his 74 appearances thus far. He could reach 76 caps as he is still in contention for the June 24 and July 1 Qualifiers against Canada. "For the last 15 years, fans have only known our Men's National Team with Todd Clever as a part of it," USA Rugby CEO Dan Payne said. "I know how much pulling the USA jersey over his head means to Todd every time he has the opportunity to represent his country, and it could be the 76th time he does it when the Eagles are in San Diego. On behalf of American rugby fans at home and abroad, I want to thank Todd for his effort and commitment to the jersey and to the Union." "Many people have played roles in my successes and I cannot thank them enough for the man I am today," Clever said. "The biggest thanks goes to my mother, Robyn, and father, Harry. They have traveled around the world multiple times to watch and support me. "My older brother, Chris, who got me involved in the sport and toughened me up while we were growing up. "And, of course, my daughter, Hadley Tomoko Clever. She is my No. 1 fan and I am hers. We have an unbelievably strong bond and I look forward to continue growing it. "Finally, my teammates from all across the country and all over the world. Rugby is the ultimate team sport and I consider all of you my brothers." Clever's last hoorah for the Eagles will be pushing the National Team to qualification for Rugby World Cup 2019 as the top Americas seed, which it has never accomplished since the tournament began in 1987. "On the playing side of things, all of my goals have been checked off," said Clever, "I've played all over the world, represented my country in World Cups, and played with and against some of the best players in the world. "We've built some great depth in the U.S. squad with very good athletes coming through. I don't want to overstay my welcome. Now's a good time to bow out and pass the torch. Qualifying as Americas 1 is my top priority and helping the team get there would be the perfect ending." This year, Clever was named to the USA Rugby Board of Directors as an international athlete representative. In addition to having his voice heard at the highest levels of American rugby, he will also be reinforcing the new United States Rugby Players Association started by teammate Blaine Scully. "I've always been very firm in my thoughts on player welfare," Clever said. "I think there's a lot of room for improvement in the treatment of rugby players - especially American rugby players - and I've been looking forward to helping the USRPA gain ground and recognition so people that represent my country internationally in rugby have an even better experience than the one I have had."